NEW YORK, New York - A fire erupted on the roof of Trump Tower on 5th Avenue just after 7 a.m. Eastern Time on Monday, January 8, 2018. Dozens of firefighters responded to battle the blaze atop the 58-story building. The firefighters were able to knock-down the before 8 a.m. 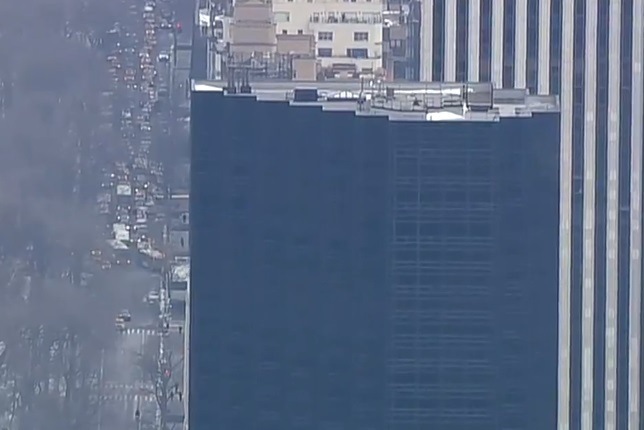 However, live video of the Trump Tower fire shows that smoke continues to billow from the Manhattan high-rise as of 8:30 a.m. while fire crews continue mop-up operations. So far, no injuries have been reported and the cause of the fire has not been determined.